HAWKs Invitational Gaming Day | H.A.W.K.S. 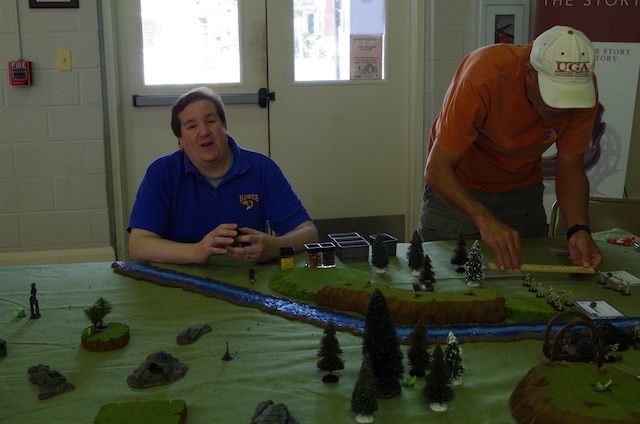 When we needed to change the date of Barrage, Cliff Brunken and several of gamers in New Jersey who run NJ Con: Fire in the East suggested that we might host a smaller gaming day. After discussions among the HAWKs we decided this was a good idea. As this was meant to be a low-key event, we wanted to keep down costs. 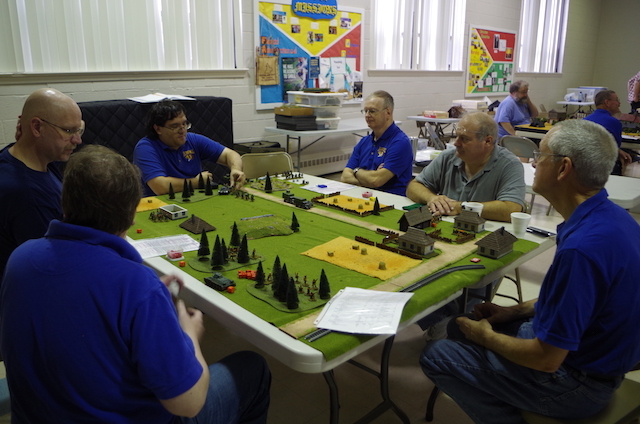 We normally game at Grove Presbyterian church for our Friday club nights. 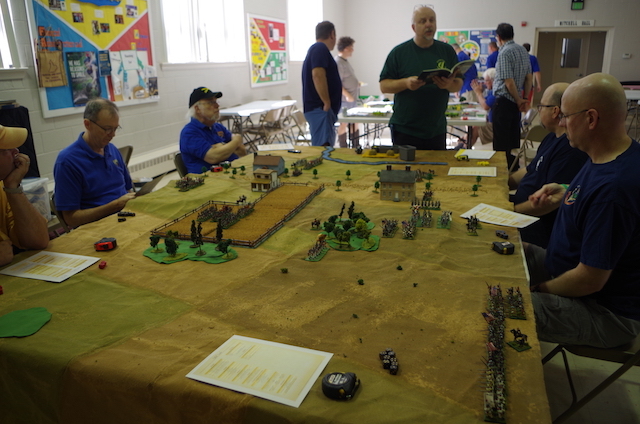 As their church hall was available last weekend and there was no charge, we planned the gaming day. 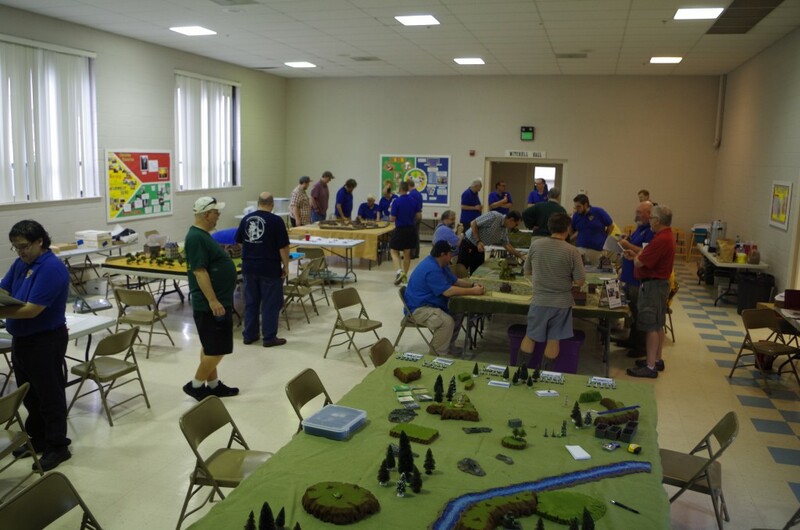 The hall is large enough for six 6×10 tables, so that set the size of the day and necessarily limited the number of gamers. 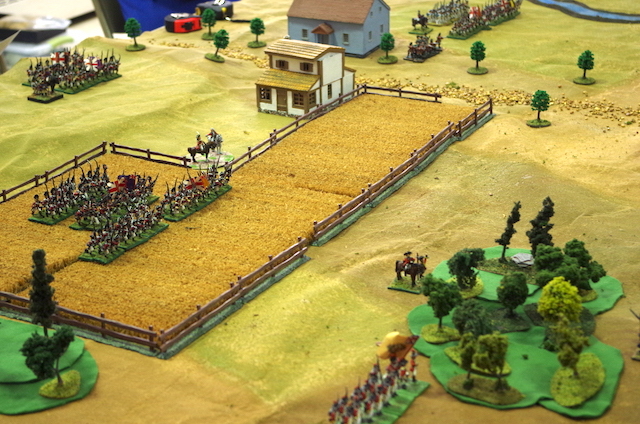 There were 25 HAWKs there, three gamers from the Gettysburg / Frederick area, and five from New Jersey. The HAWKs ran six games, and the gamers from New Jersey ran four. Below are some pictures from the event. 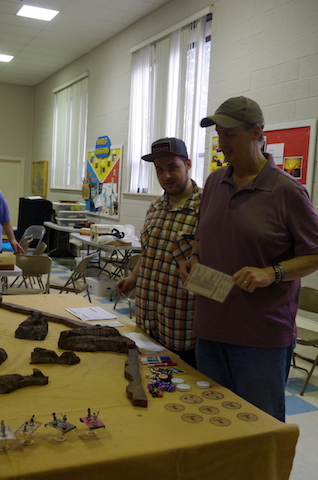 Sam Fuson ran his innovative GASLIGHT game using scrabble tiles to solve puzzles in order to accomplish their missions. 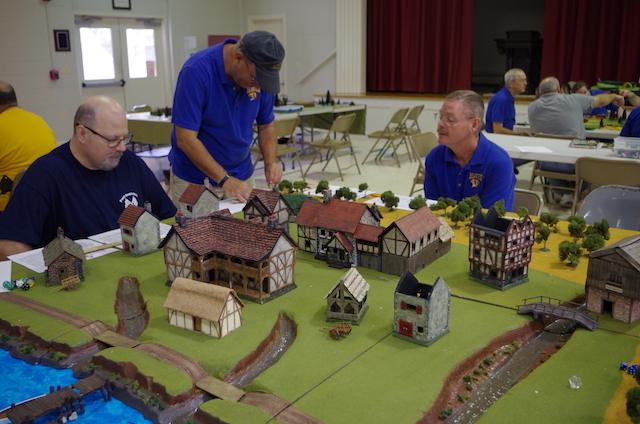 I wasn’t sure I was going to have a chance to play something in the morning, but I had a chance to participate in Jamie Davis’ ever popular carpet race game that combines his excellent Future Race rules with Blood and Swash. 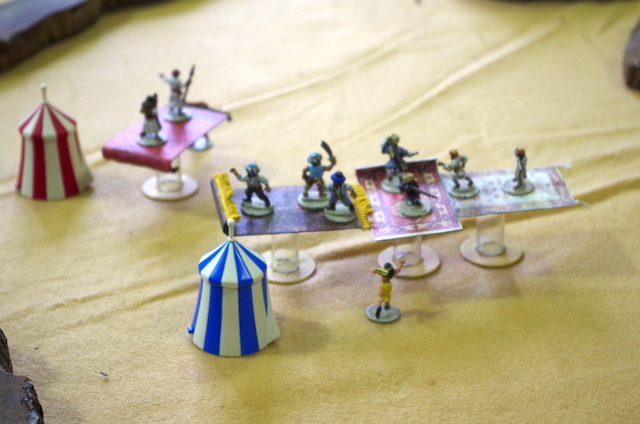 The typical madcap kerfuffle ensues. 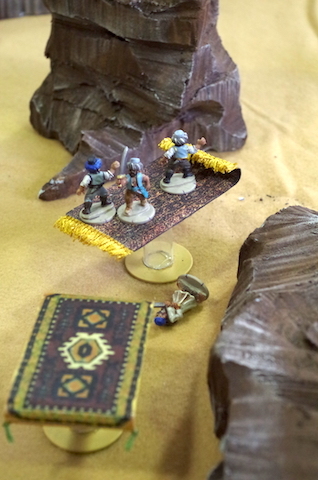 My magic carpet lost its magic, so I leapt onto a passing carpet to try to hijack it. My driver made it, but my number two man fell and died. 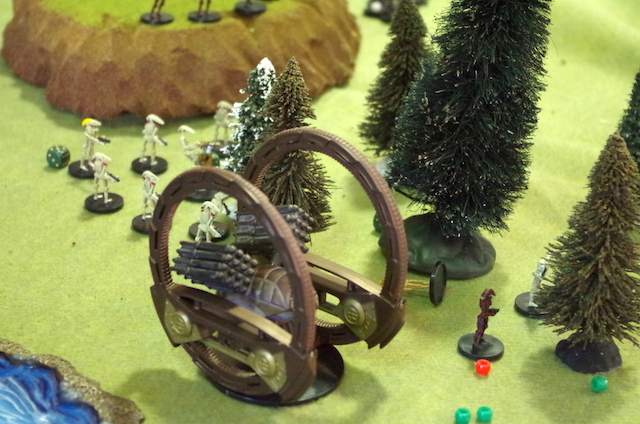 Eric Schlegel ran Smeagol’s Ferry (a fantasy take on his series of Schlegel’s Ferry games) using modified Blood and Swash. 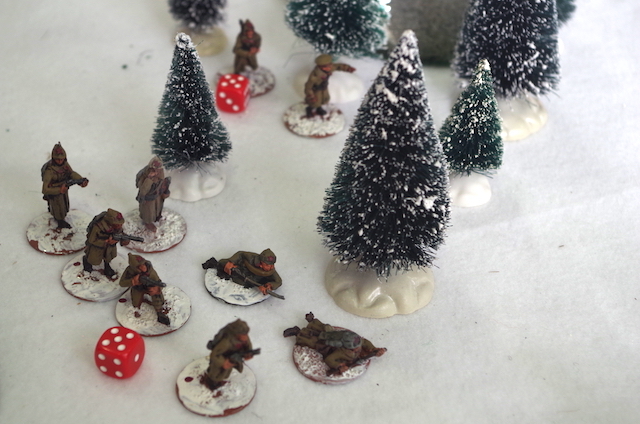 John Mitchell ran an Eastern Front skirmish using Bolt Action. 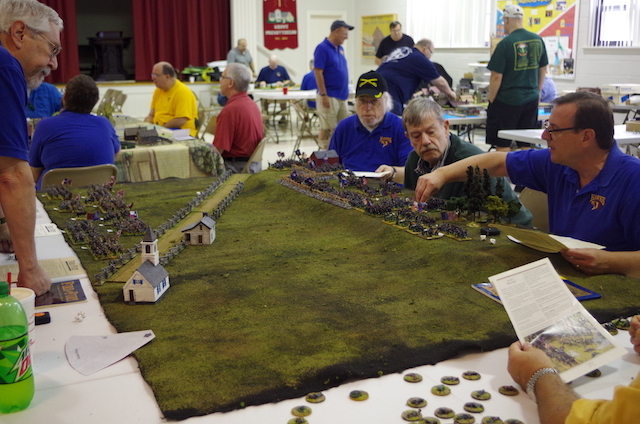 Don Manser ran a Pickett’s Charge game using Fire and Fury. 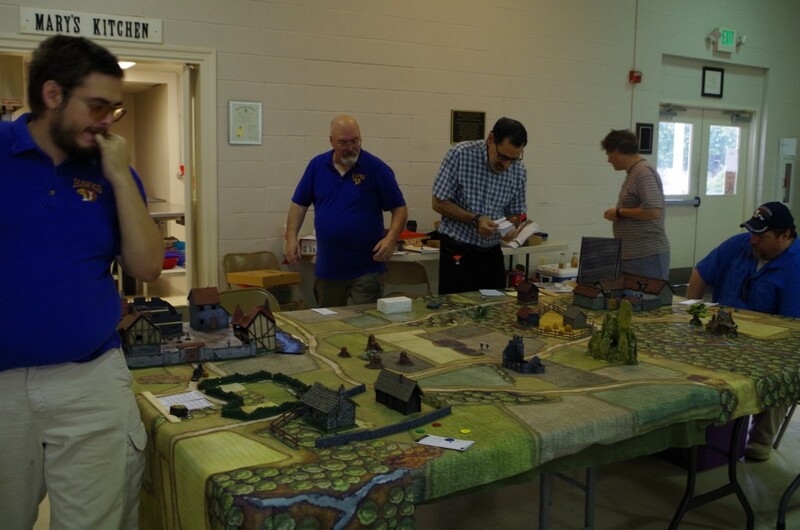 We had five gamers running in the morning with room for a sixth game if we had more gamers. 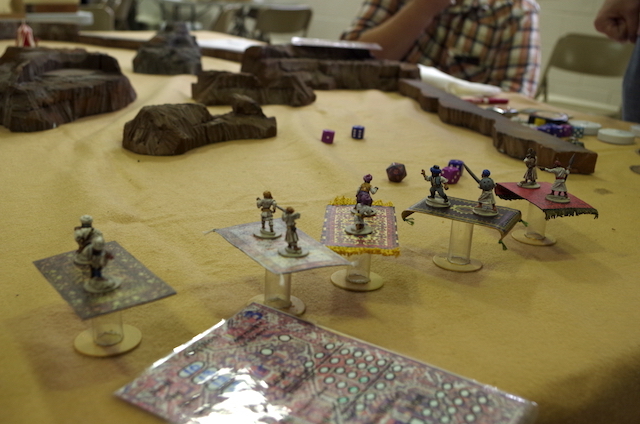 We broke for lunch and then ran five more games in the afternoon. 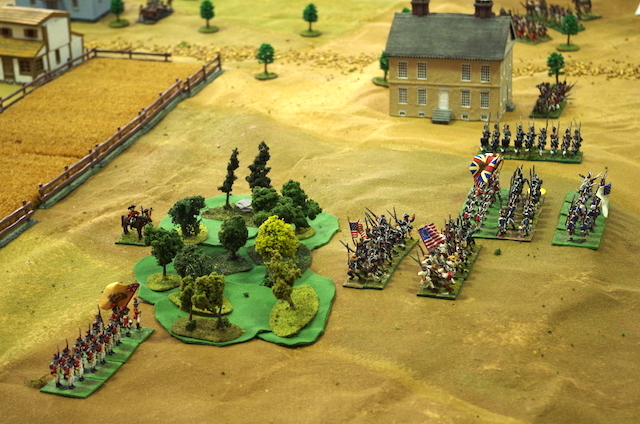 Cliff Brunken ran the battle of Germantown with 28mm figures using Black Powder. 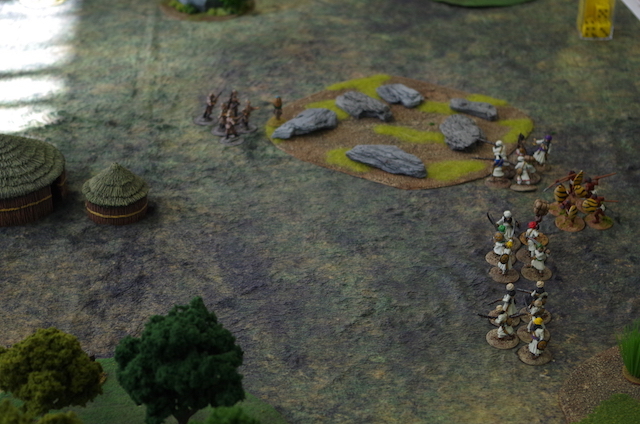 Don Hogge ran a game of Congo. 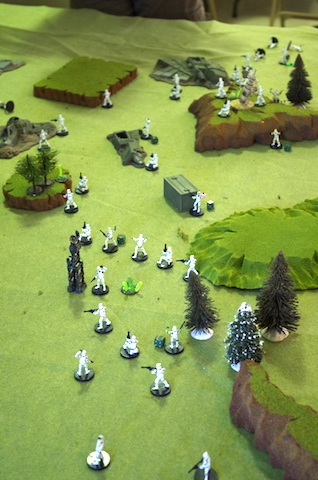 Greg Priebe ran a fun Combat Patrol™ game using the recently released Star Wars supplement. 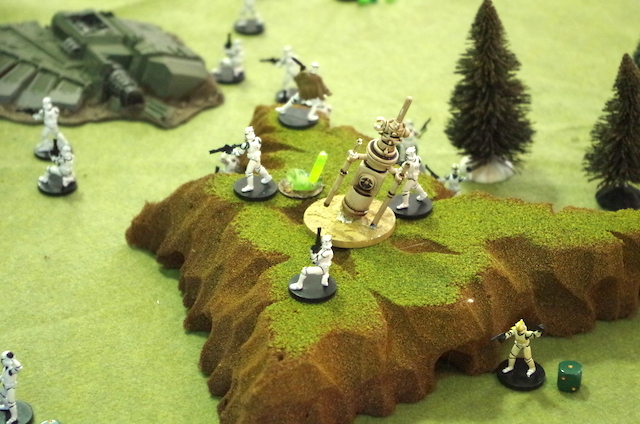 This involved clones versus droids. This was a very successful event. 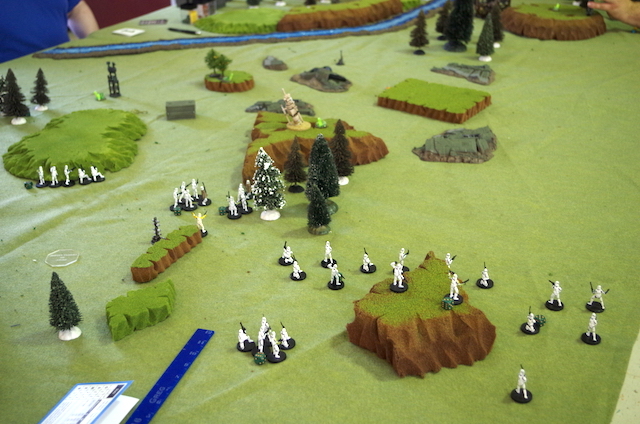 We ran ten games and played from 0900 to 1800. Everyone had a good time. 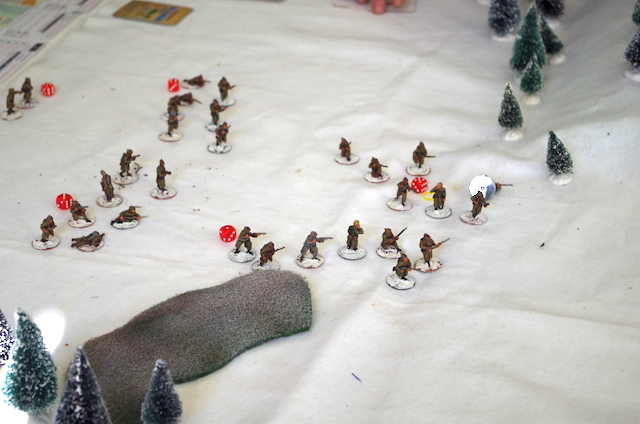 We kept it a low-key, low-stress event, focusing on playing games. We are already starting to talk about another such event in the future.